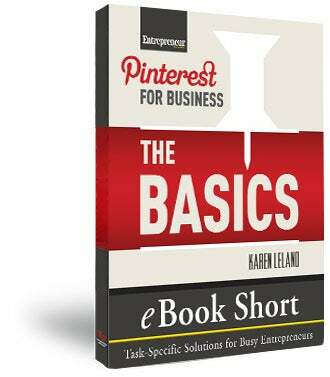 Drawn from Ultimate Guide to Pinterest for Business, this digestible download offers a basic action plan for busy entrepreneurs ready to set up camp on this new social playground. With this primer, you'll learn step by step how to set up a magnetic account as an individual or business, master the fundamental features for building a community, and basic tools for engaging users. This "short" is designed to acquaint you with the power of Pinterest. 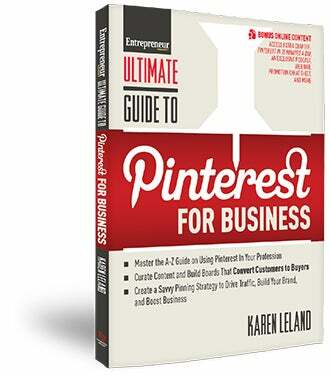 Download or buy Ultimate Guide to Pinterest for Business, a comprehensive master plan for turning Pinterest into a profit center for your business.